Another lovely and very short day today. 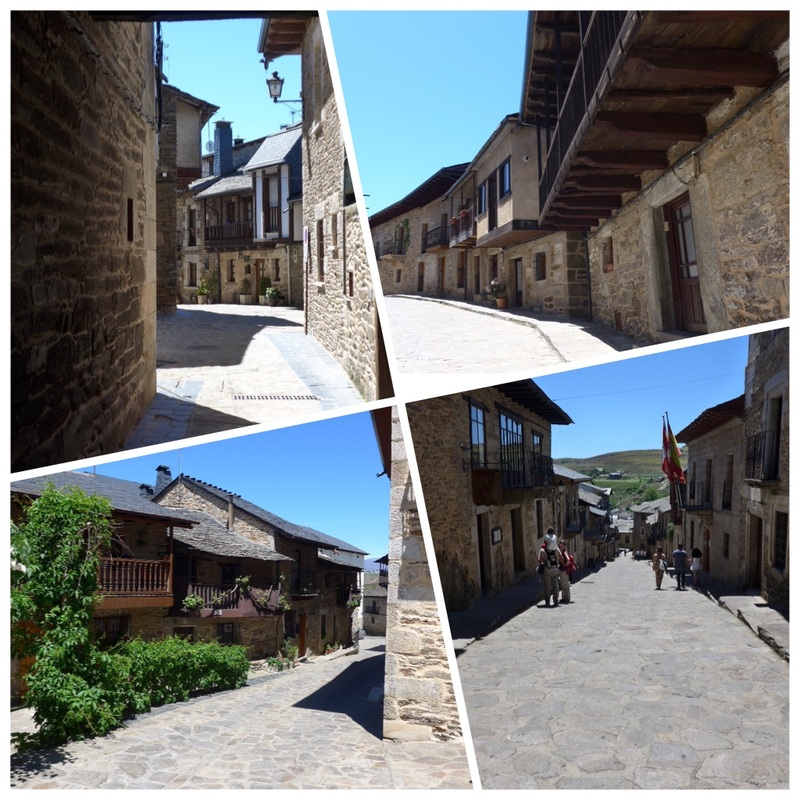 More beautiful stone villages en route and a few water features to negotiate. A cold start with frozen fingers, but the sun came through after about an hour and thawed me out. As I was walking through these charming but largely ruined villages I wondered what they had looked like before they started to fall apart at the seams. I can’t do justice in words as to how wonderful the flowers were today, hopefully the photos will do the talking for me. Not only yellow and white broom, but now added to the mix is purple heather, yellow gorse and a yellow flower that looks like cistus but I haven’t seen it in a yellow variety before. The heather reminds me that we are nearing Galicia. We walked through quite a lot of grass today and it was full of morning dew, which gave my boots a good soaking – I’m not sure they were ever very waterproof, but they certainly aren’t now! 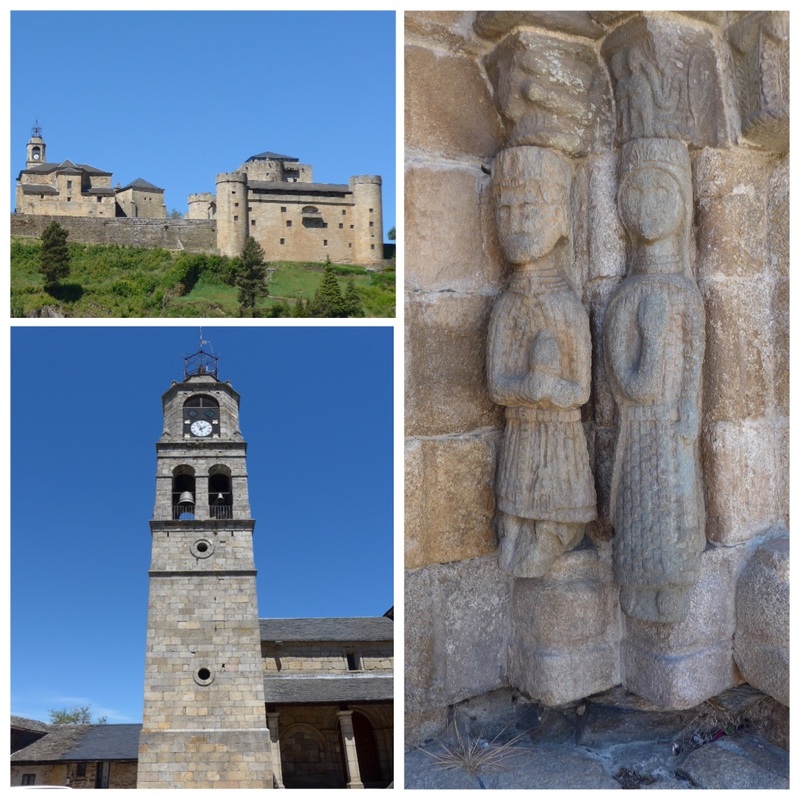 As we approached the village of Otero de Sanabria we were heralded by beautiful classical music but couldn’t work out where it was coming from. It is a large village and as we wound our way through the delightful streets we could hear this wonderful sound loud and clear. It was quite magical. As I am writing this I asked a couple of Dutch women who were walking a while behind us if they heard it and they had discovered from one of the villagers that it was coming from a church that we hadn’t seen. The last few km’s were walked on the road, but it was mostly very quiet and we were only passed by one car, and the flora on either side remained the same. I had opted for a short stage today, as Puebla de Sanabria is a large town with many facilities and I hoped to buy a couple of items that needed to be replaced, namely gloves and battery charger. My charger worked fine at the beginning of my camino, progressed to working intermittently and finally gave up the ghost ten or so days ago. 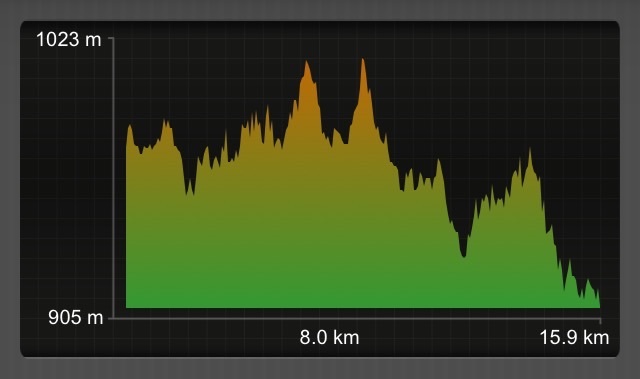 This means that I haven’t listened to to any music for all this time, and as the big climbs are approaching I thought I could do with all the help I can get to keep my pace going. My phone keeps going for between 35-40 km’s using the two GPS apps but I always want to have a bit of battery in reserve for an emergency phone call. So today would be my only possibility to buy a new charger. We arrived very early into the private albergue Casa Luz (12€) on the edge of the town, preceded only by two South African cyclists. Lower bunk was bagged and lovely shower was taken before I set off for the historic part of the town, which entailed (there were options) climbing 230 steps up to the castle walls. Once in the old town I could at last discover how these places looked before they fell into ruin. This town is magical, beautifully maintained without being overdone. I have been totally charmed. Added to this joy, I was told on enquiry that there was indeed a technology shop where I could probably buy a charger. Hurrah! I found said shop, but it was locked up. Boo! The sign on the door said it was open from 10:00 – 14:00 on Saturdays and it was only 12:30. I optimistically returned to the shop three times, hoping that the owner had just popped out on an errand, but no such luck. It remained obstinately locked and I remained sadly without a new charger. There are lots of new faces here today, but gladly Patrick and Alke have arrived and we are going to share a home made dinner tonight because tomorrow we will be walking different stages and we probably won’t see them again. The lovely Jose Antonio is here. He is the gayest gay man I have ever met and he is absolutely lovely, very funny and entertaining. 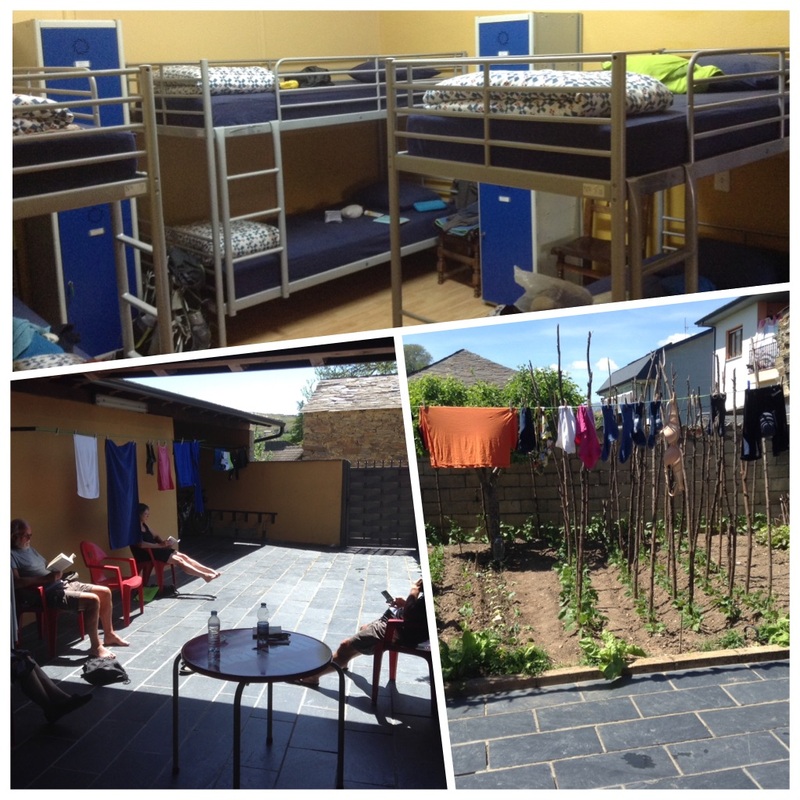 Plus two other guys who haven’t been very communicative yet, and the two Dutch women, one of whom has just joined her friend for a week and is returning home tomorrow (I thought her legs looked a bit white!). And two more cyclists have just turned up. What a surprise to find today’s blog so early Maggie. Gorgeous village but it’s a shame about the charger. Hope you manage to get one. Beautiful heather and the yellow flower looks like buttercups! The gayest gay man sounds like a dote. Enjoy your meal tonight and sleep well. I look forward to reading your blog everyday, and seeing your photos. 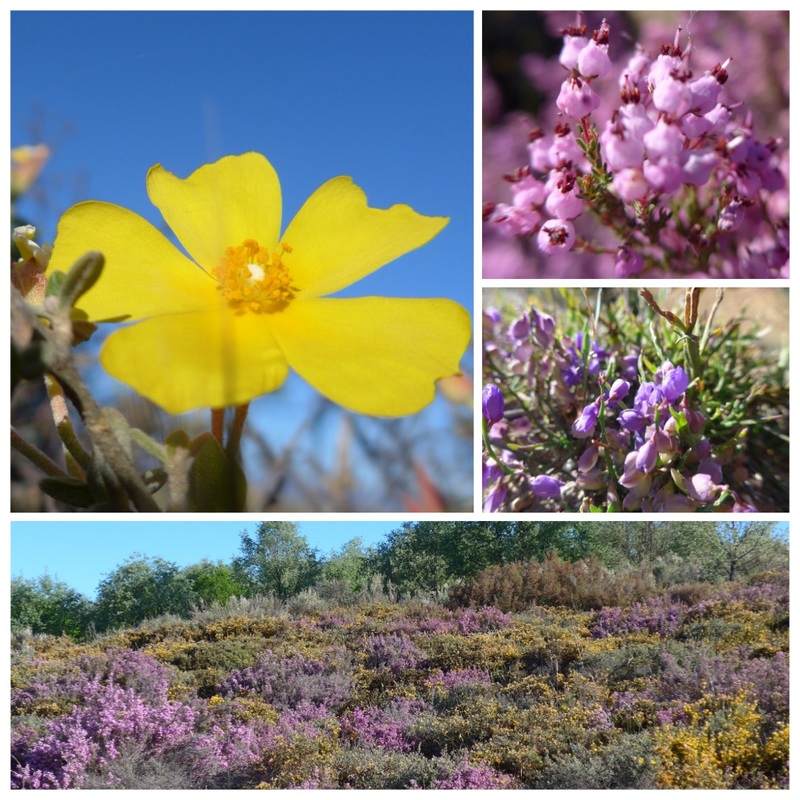 I love the wild flowers in Spain, and your photos certainly do them justice. 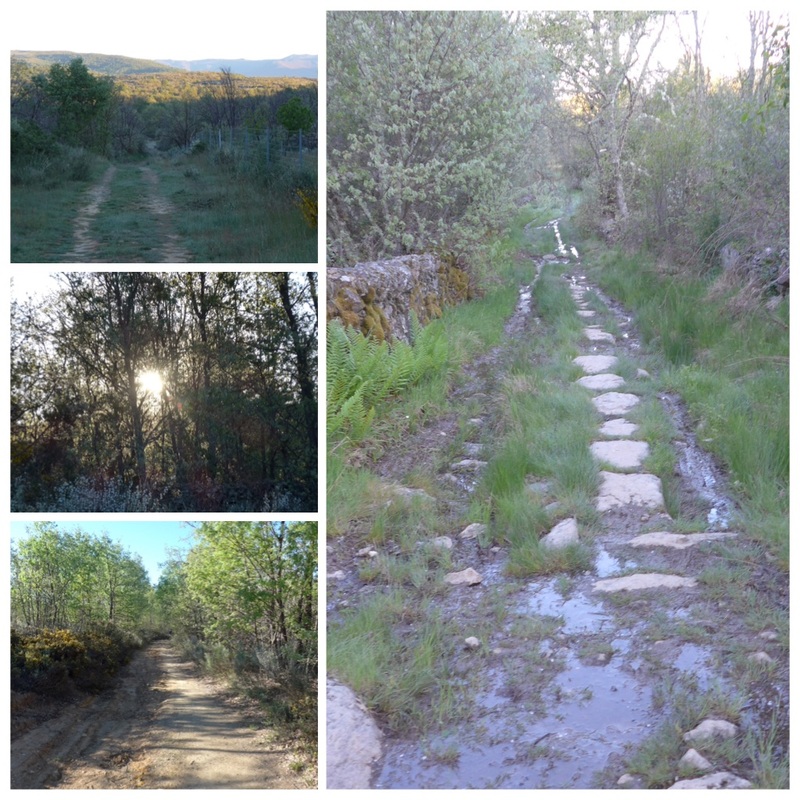 I started reading your blog when you were walking through Extremadura, as I knew some of the places you went through. At that point I had to read backwards through your blogs before I could start moving forward as I didn’t want to miss any of it. You see, I was hooked from the start ! I will really miss it when you finally get to your destination. Good luck on your camino. Thank you Jan – what a lovely comment. Wonderful story telling and photos. During our Spanish conversation yesterday my Spanish friend was telling me about barnacles (percebes) a Galician delicacy! You must let us know if you try them!! Thanks for the info Maggie, but I would probably give them a miss! Do you know, I haven’t done any walking in the UK? One day maybe. I shall look forward to hearing all about it. Have to ask if José Antonio is single…:) Did you try the chinos? Cheap and will break but a Chino charger might last til you can get a good one. Buen camino! Haha, I have now moved a few stages away from J-A and am missing his drama and light. He is such a character. Amazingly there are very few chinese bazaars on this route. But have now found a charger in Ourense. Thank you Jacki, very kind of you to say so. What a lot of different people you have met along the way! 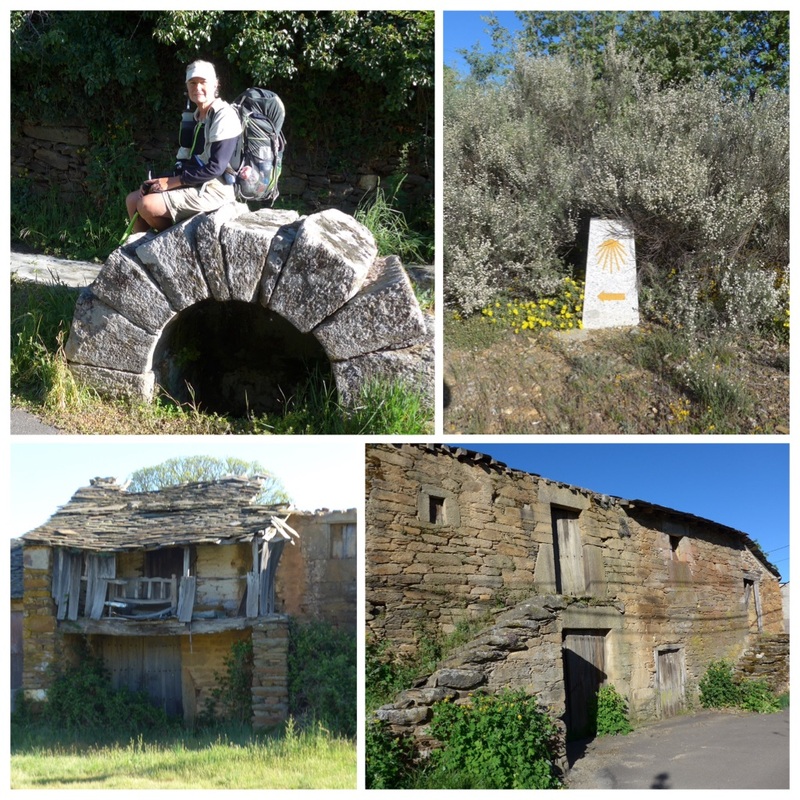 How are you managing to bet your Camino stamps, and is there anything you can do later to get your log book stamped should you be unable to do so at the time? Buen Camino…. There is always a stamp at recognised accommodation. I did miss one night, forever ago, and just wrote in the date and place in the space. I have had to add two pieces of paper to my credencial as I ran out of spaces shortly after Zamora. Luckily I will be able to visit the church of Santiago in Málaga to get my first stamp (there was no-one with a key to the office when I set off). Málaga Amigos definitely need to issue longer credencials. I love following your daily travels Maggie. The closer you get to your destination the more excited I get for you. Will continue to follow you until I leave for my casino. I only hope I do half as well as you have. Hi Cheri, which route are you walking and when do you start? I wish you a buen camino! My friend and I start walking from SHPdP on June 10. 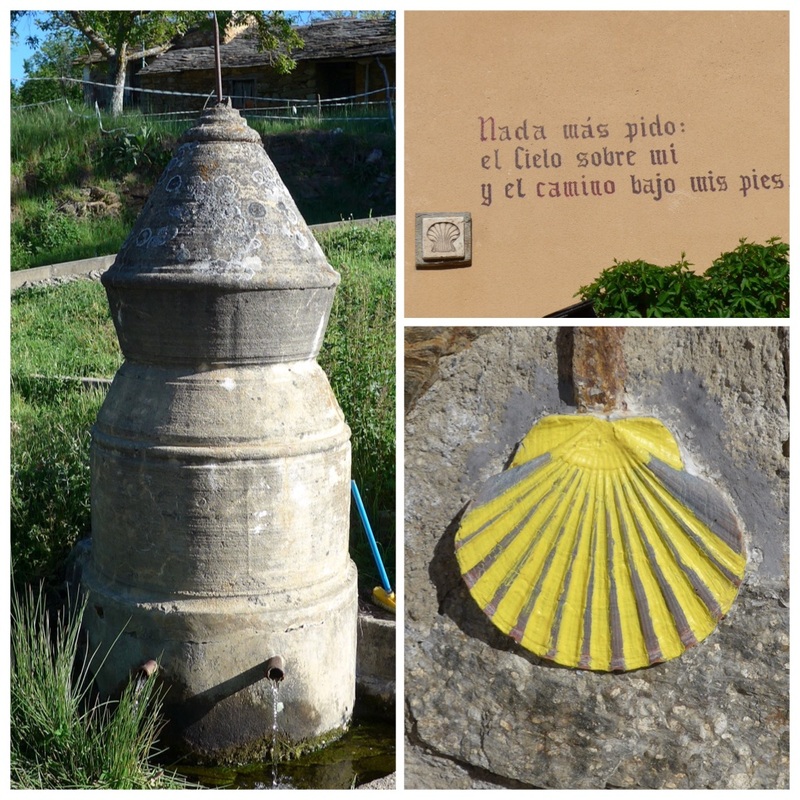 We’re walking Camino Frances. I love reading your blogs and your pictures are incredible. Our raid light bottles arrived and I think we are ready to go! Good luck the rest of the way and Buen Camino! 39 days on the road and still going strong. Your blog just keeps better and better. I love reading it especially in the evening with a glass or two. Hi Lucy – I find everything is improved by a glass or two!